Qualify Online for the MEC Poker Open! You can win a seat in the MEC Poker Open Main Event & Highroller for $11 online on Bwin. Check out all the information below. When are the online satellites? 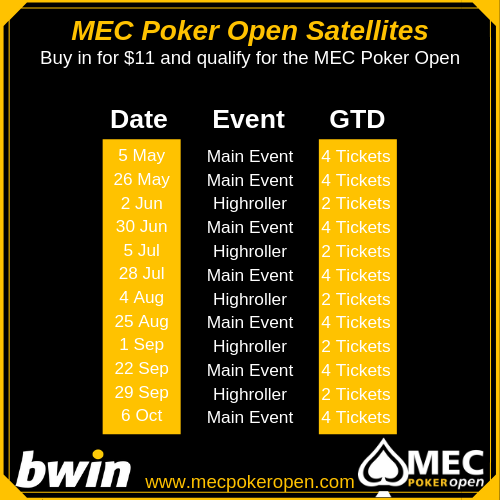 For the MEC Poker Open OCT 2019 we organize several satellite tournaments. You can qualify online for the Main Event & Highroller. Already bought your ticket online? No problem. When you win the satellite you will receive a cashback for your initial ticket. So make sure you are there! Where can I play the Satellite? 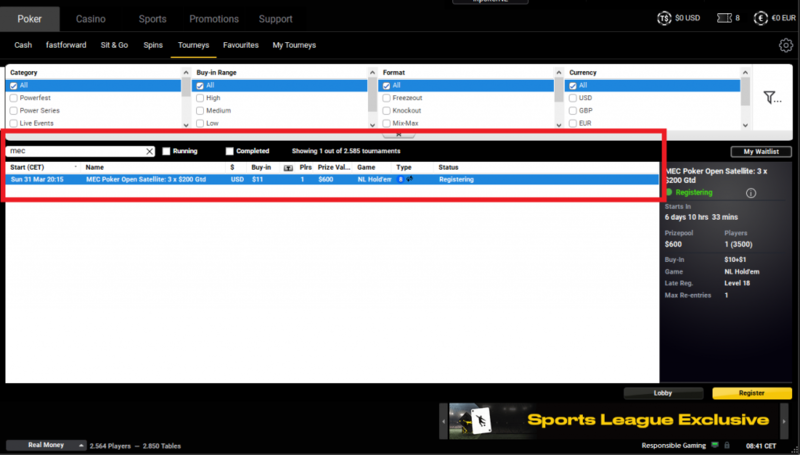 First make sure you have an account on Bwin and you have downloaded it. Click here to open an account on Bwin! Once you have an account you can log in on Bwin and find the satellite in the cliënt. Then fill in “MEC” in the search feature. The MEC Poker Open Satellites will pop up.